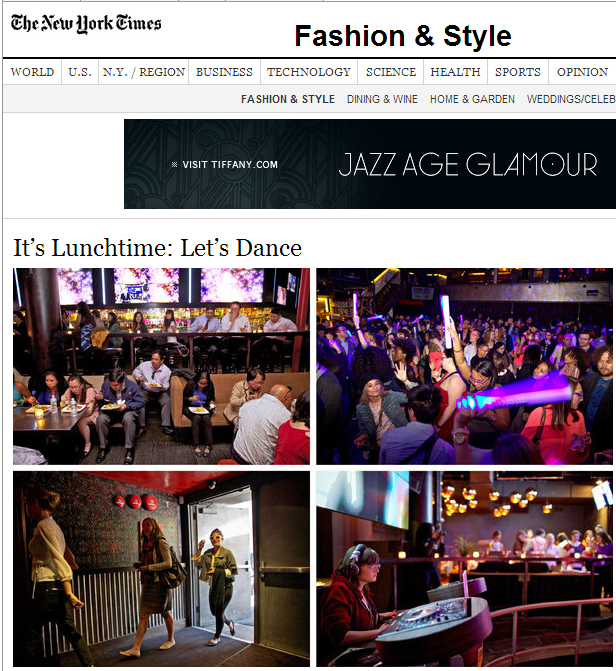 The New York Times says it's time to go to Lunch Rocks! There is more to come. Just wait for the countdown clock to start ticking again. Rock on! Lunch Rocks is soooo Cosmopolitan! 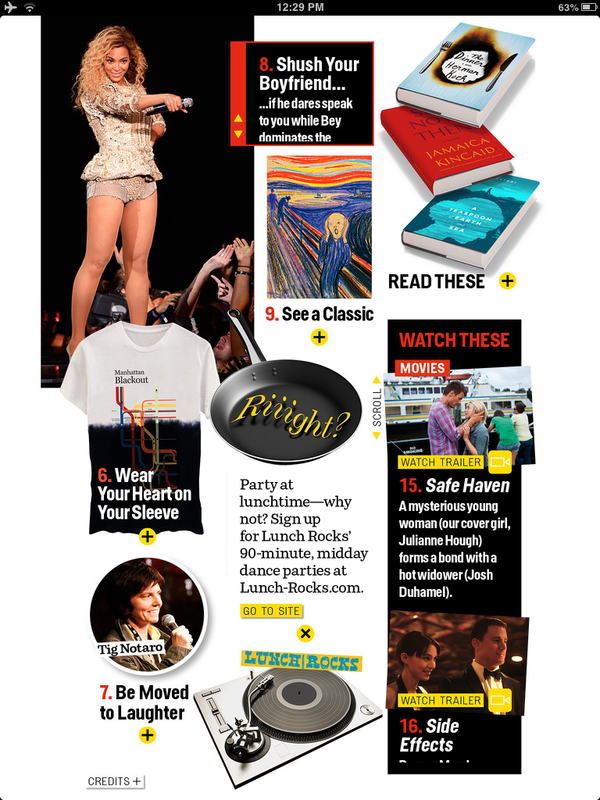 we are proud to announce that we were recently featured in Cosmopolitan Magazine! Lunch Rocks is listed in the "21 Things for You to Do" section both in their print as well as their digital version. Thank you, Cosmo for rocking with us! Hope all of you can join the best lunchtime party in New York City soon... Rock on. New York lifestyle writer City Gal did some research about us and came up with this fantastic article. Thank you! We look forward to Lunch Rocking with you soon. Rock on! The Next Lunch Rocks is here: THIS FRIDAY, December 7th in Midtown Manhattan!! thanks to your enthusiasm and support, we are coming back to you more frequently before the Holidays. 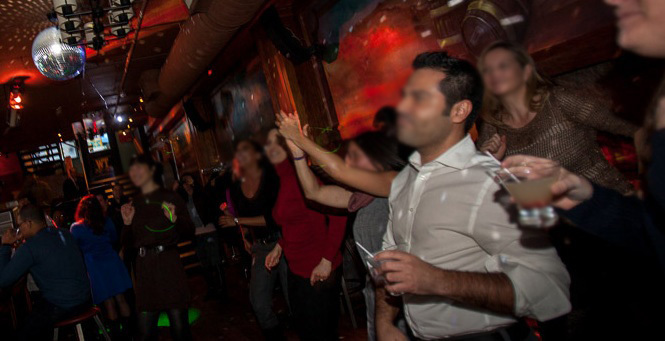 We will already return THIS Friday, December 7th, and the party will go down right in the heart of Midtown Manattan. Lunch Rocks is growing quickly and you will have the most fun lunch ever guaranteed. Get your tickets now and practice your dance moves for the ultimate way to spend your lunch in New York City. Many Drinks Specials and Happy Hour prices will be available for those who imbibe and we will have FREE POPCORN again, just for you! Make sure to also let your friends and colleagues know by liking us on Facebook and by tweeting about us on Twitter. 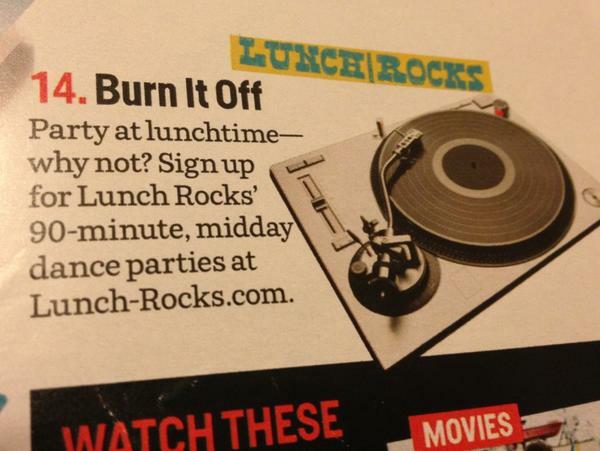 Rock on and become a Lunch Rocker today! Our Feature in the Metro New York City Newspaper! 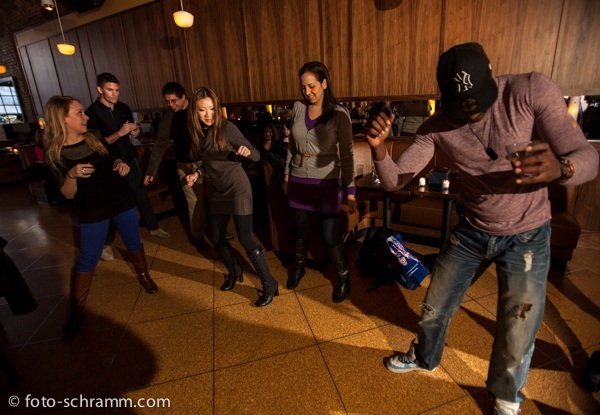 The third edition of Lunch Rocks was also the wildest dance party during lunch time that New York City has ever seen. We had a great time, but even more so, every single Lunch Rocker hit the dance floor and bumped along to the beats of DJ Roli Rho. If you were there, you are still talking about it today. If you missed it, you have to attend next time. 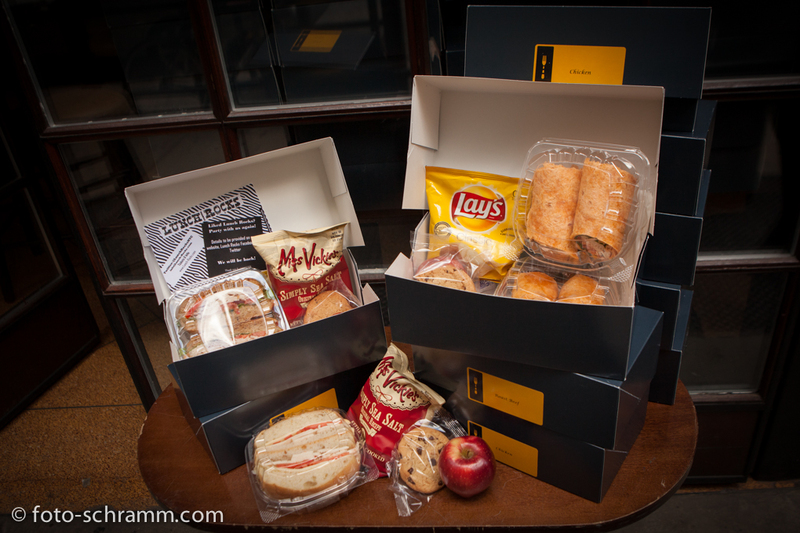 It’s unlike any lunch you have ever witnessed, and we have the pictures to prove it! By the way, if you are a Lunch Rocker or if you want to become one, our next event is scheduled for this Friday, December 7th, from 12:30 to 2PM at 71 West 55th Street. Get your tickets now on our website. Rock on! When You See The Banner Outside – Lunch Rocks Is Happening Inside! See you next time! 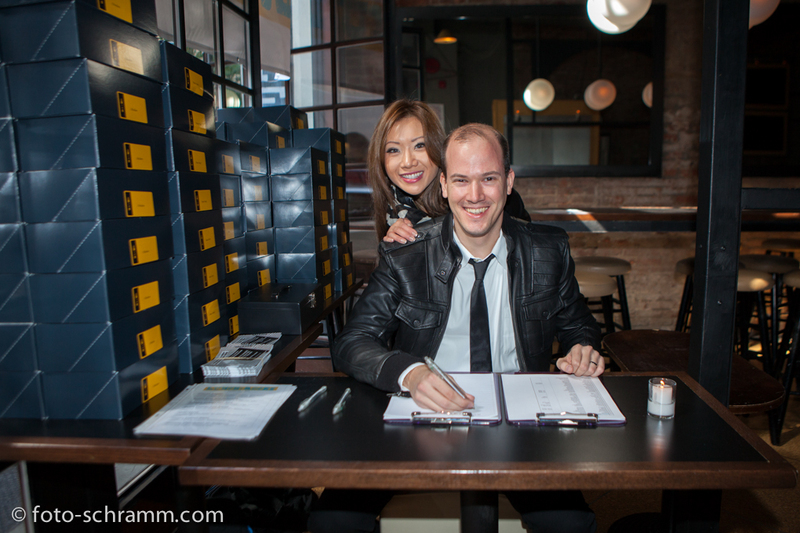 Thank you once again to photographer Norbert Schramm for providing the awesome pictures (www.foto-schramm.com). We wanted to thank everybody who came out to join our lunch revolution. What an amazing event it was and to see Lunch Rocks’ great-looking crowd showing their incredible moves on the dance floor - during the middle of the work day, of course! For everyone else that missed it, we’re filling you in with some pictures from the event. Make sure to attend the next Lunch Rocks, scheduled for Thursday, November 29th, from 12:30 to 2PM. We will reveal a new venue for you very soon, so stay tuned! 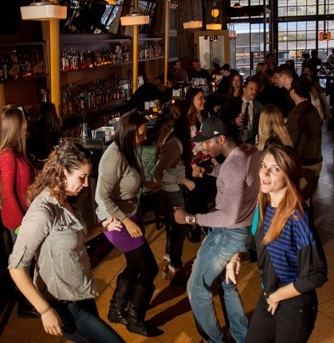 It’s time to step away from your cubicles and come dance with us during lunch. This is the lunch New Yorkers have all been waiting for! Put your hands up in the air! Put your hands up in the air! ATTENTION: Lunch Rocks is on! 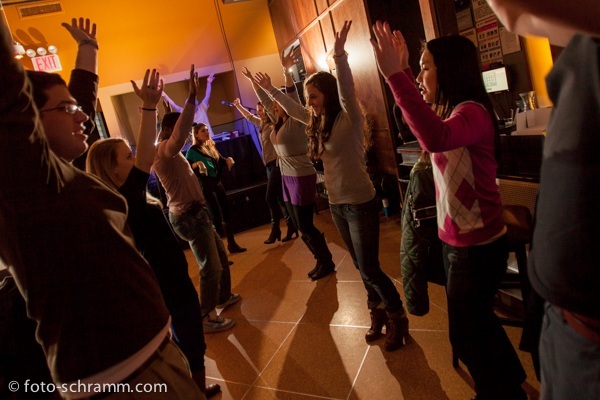 Midday Lunch Dance Party On November 8th! Our hearts go out to everyone affected by Hurricane Sandy. After a one week break, we are now back and ready to party with you. 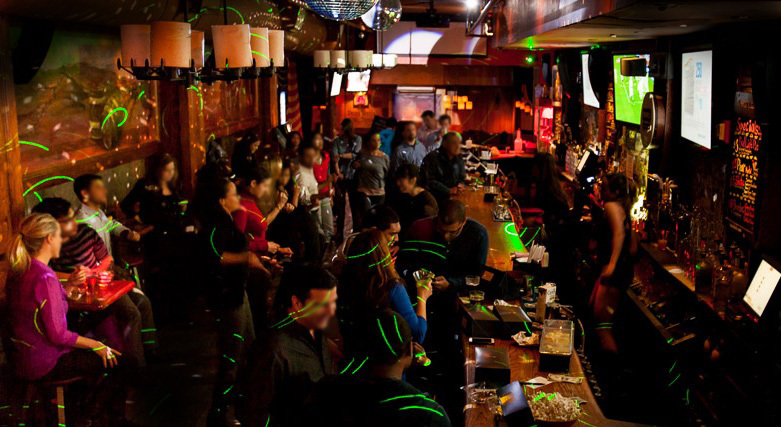 Our next event will be epic, and you can still dance up a storm on the dancefloor. Make sure to let your friends and colleagues know by liking us on Facebook and tweeting about us on Twitter. Rock on! We highly recommend that you buy your tickets in advance due to high demand. Note: For everybody that has already bought tickets online for the November 1st postponed event, we will honor your tickets for the November 8th event. If you cannot make the November 8th date, kindly contact us by November 7th for a refund. For all other questions, please e-mail us at info@lunch-rocks.com. The Next Lunch Rocks - November 1st!! we know you are eagerly awaiting the release of information for the next Lunch Rocks event. Stay tuned! We will have all the details for you very soon. You can be sure that we will have locked down the best DJ, venue, and food to make your lunch rock. 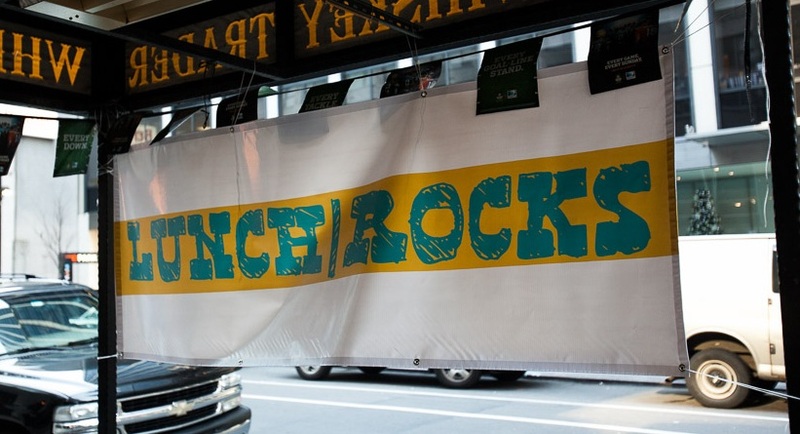 Lunch Rocks will return to New York City on Thursday, November 1st, from 12:30 to 2PM with our banner (pictured) front and center. All you need to know will be up on this website, on our Twitter, and Facebook page, but if you want to be the first to find out, please subscribe to our mailing list! Oct 24, 2012 - Urban Daddy Partied With Lunch Rocks! Will you?!?! 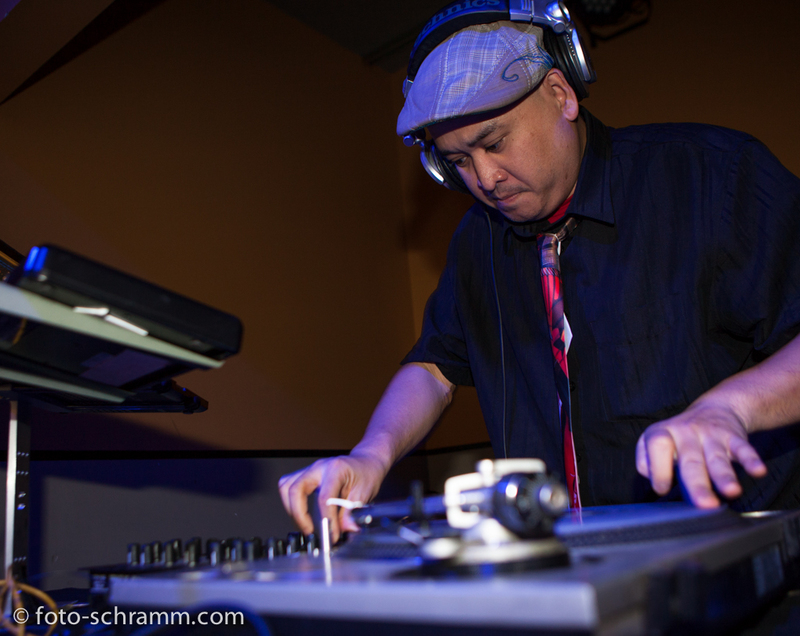 Urban Daddy came to our launch event on October 18th and enjoyed rocking out with us. The hype is starting to build up for the next event. You gotta come and join us to experience New York's hottest new movement. Your lunch will never be the same again. 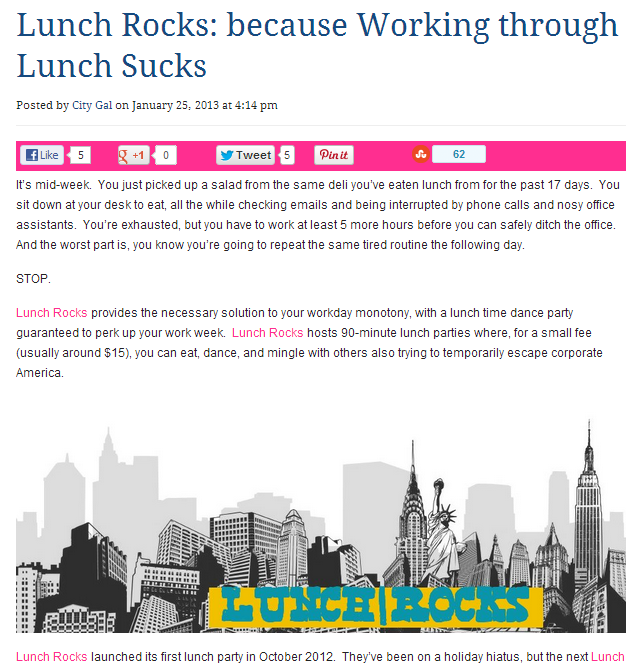 Please read the great Urban Daddy article about Lunch Rocks by clicking here. Dear Lunch Rockers, we wanted to thank everyone who came out and made history by being part of the first ever Lunch Rocks! 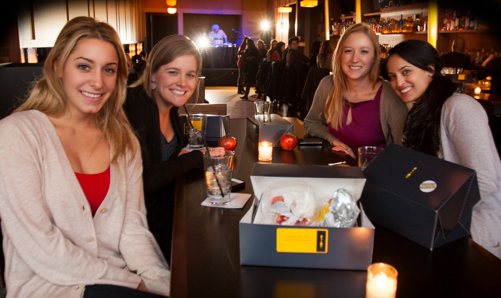 We rocked the Caulfield on October 18th, 2012, with great vibes, an energetic crowd, and delicious lunch boxes. If you want to be part of this growing phenomenon that redefines lunch in New York City, make sure you and your colleagues attend the next Lunch Rocks! Follow us on the site, on Twitter, and Facebook for updates. 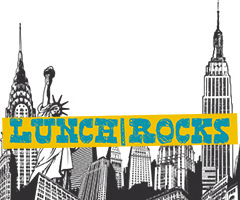 Time: 12:30 p.m. -- 2:00 p.m.
And they sure do know that Lunch Rocks will be the hottes lunch time event in New York City! Please check out this new article about us that was posted on Grub Street and New York Magazine. We look forward to seeing you at the Caulfield on Thursday, October 18th! 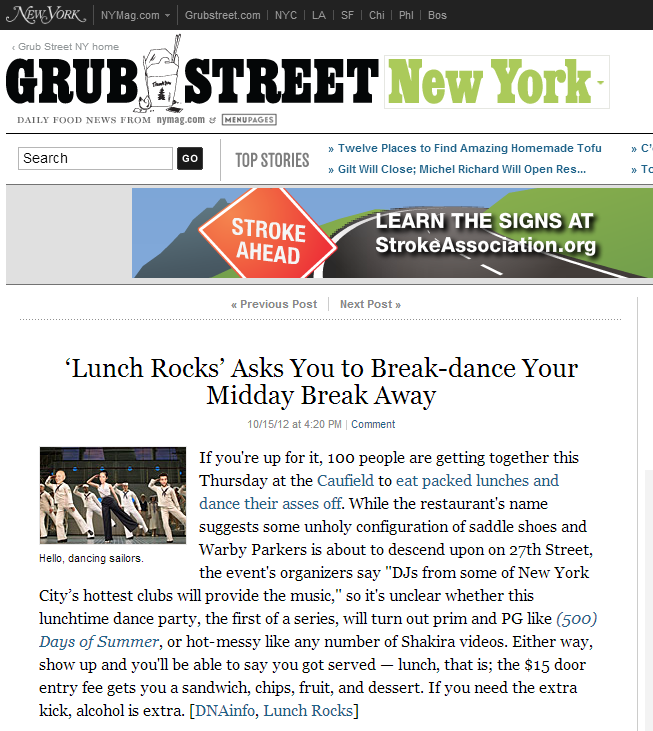 Click here for Lunch Rocks Grub Street arcticle. 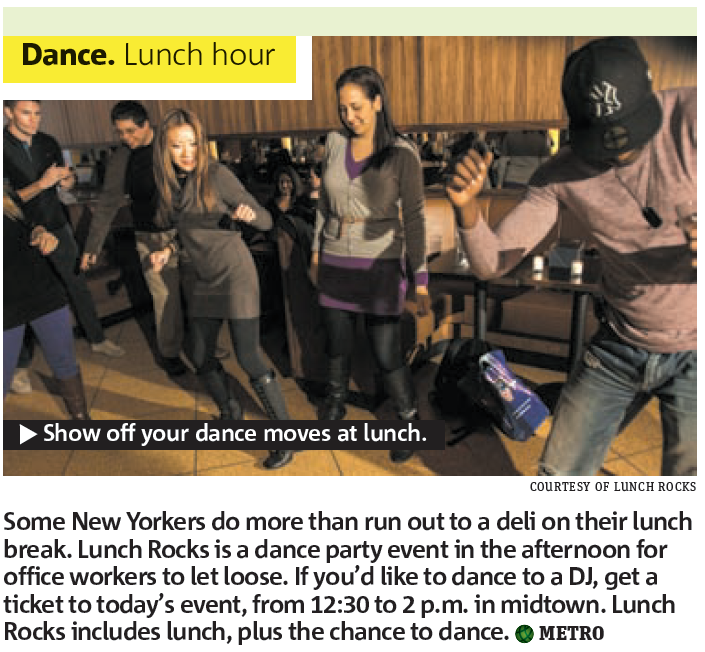 Lunch Rocks featured on DNAinfo! 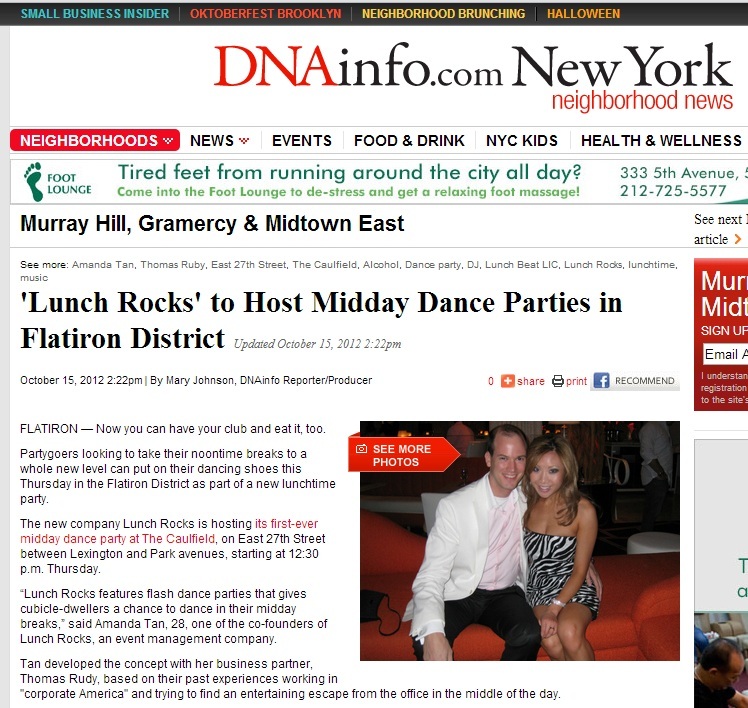 Lunch Rocks was featured on DNAinfo.com with an article about our concept and our launch party on October 18th. We hope this should get you excited for our events. We highly recommend to buy tickets ahead of time online, but there will be tickets available at the door as well. See you on the 18th. Lunch Rockers unite! Dear Lunch Rockers, we wanted to share this great video with you that captures the fun and entertaining atmosphere every lunch should have! Thank you to Kerri Ford (writer/producer) and Josh Hyman (lead performer) for telling us about their creative work. The video was directed by Amelio/Stephens of OurStreet Productions. United we Lunch Rock! Enjoy! Lunch Rocks is unlike any lunch meeting you have ever had in your life. It is a dance party in the middle of the day, in the middle of the city. Lunch Rocks is your mid-day energy drink without the trip to the coffee machine. Lunch Rocks gives you the opportunity to forget work for a while and just dance. 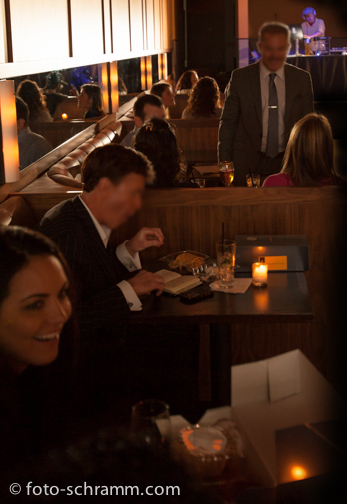 Whether it's the banker from the office on the 33rd floor or the sales girl at the clothing store across the street, we're all here to let go, grab a quick bite to eat, and – most importantly – dance! You made a great sale in the morning and want to celebrate with your colleagues? Rock out with us during lunch! You're anxious about the client meeting in the afternoon and need a distraction? You need a lunch hour that rocks! You have been staring at a screen since 9am? Come dance with us! Once you walk into Lunch Rocks, you become a Lunch Rocker. And you know what that means, right? No?!? Well, as a Lunch Rocker, you are part of a culture that does not judge. We're all here to grab a bite to eat, dance and rock out. Remember when your mom told you not to talk to strangers? She was wrong! It is the duty of every Lunch Rocker to meet at least one fellow Lunch Rocker that you did not know before. Over time, Lunch Rockers will merge, creating a true sense of community. Maybe you will even find a new best friend, the love of your life, or just find a spot on the dance floor to do your famed running man? Worried that you won't get anything to eat, by attending Lunch Rocks? Don't you worry! There will be food and drinks available for you. Hey, you're still going out for lunch, the difference is that you'll be dancing too. Nobody has to starve, unless you want to, but we think you look great already. You'll leave Lunch Rocks as a happier person. And if your boss is reading this, tell him that happier people are more productive. Rock on! Sign-up and get the lastest Lunch Rocks news and updates about upcoming events.